Everywhere you look there’s a company claiming that they have life-changing underwear. You’ve worn the same brand of underwear your entire life – why change now? We dug deeper into one of them to find out why so many guys are upgrading to Mack Weldon. Seriously. It’s a proprietary blend of long-staple cotton, beechwood modal and Lycra that sits for 18 hours – exactly how long it takes for the material to naturally expand so you get a softer feel and more consistent fit – before being cut. This unique process is one of the main reasons you won’t find underwear like Mack Weldon’s anywhere else. Mack Weldon’s innovative design has finally solved the problems men have been dealing with for years. The legs stay-put and never feel constricting; the super-soft, microfiber waistband holds its shape and won’t roll over. You’ll notice the difference straight away. Underwear is personal, so the only way to get the right fit is to try it on. If you don’t love your first pair, the brand’s Try-On Guarantee promises a full refund with no return required (yes, you can even keep the pair you tried on). These guys really put their money where their mouth is. We don’t usually promote name dropping, but when it comes to CNBC, WSJ, GQ and the NY Times – we’ll make an exception. 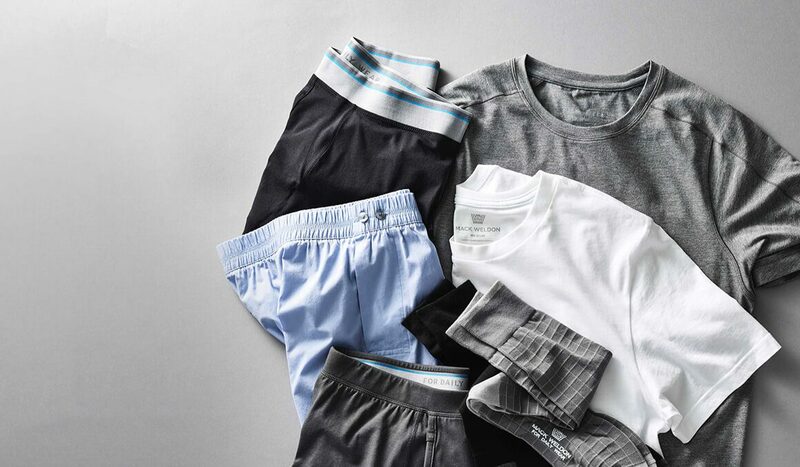 The Huffington Post dubbed Mack Weldon “The Apple of Underwear” and Men’s Health magazine ranks them as the “Best Underwear for Men”. It’s one thing to make the news, but it’s another thing to make the news for underwear. Let’s face it, everybody likes to keep it cool. This underwear is constructed with mesh cool zones located where you need them the most: near the fly and lower back. The advanced fabric is made from pique mesh to enhance airflow and maximise breathability, keeping you cooler. With over 1.5 million shipped and less than 2% returned, Mack Weldon have clear done something right. You can see and feel the 10,000 hours they spent designing their underwear in every stitch and seam. The difference is literally in the details. If you made it to #7, you need new underwear. You might be fine with what you’re wearing, but you could be more comfortable in Mack Weldon. Still think “it’s just underwear?” The only way to know is to try a pair risk-free. If you don’t love the pair you tried, their Try-On Guarantee promises a full refund with no return required. Get Comfortable.